Today I had a ‘window’ booked in my diary for 2pm, quite ironic that the person coming was a representative for a window dressing company. Thomas Sanderson to be precise, well, not him personally, one of his many well scripted and ready to get me to sign on the dot straight away kind of individuals. When I moved into my flat over ten years ago I invested heavily in wooden Venetian blinds and swag and tail drapes, very over the top in gold silk effect with emerald green piping. My Dad would have gone apoplectic if he knew how much of his legacy I had spent on one window alone, never mind it being five plus one door. He wouldn’t have actually said much, just his silence would be enough to show his dissatisfaction. Probably tallied the cost against the purchase of his new bungalow in 1961, and then he would just say “could have bought two for that price” and never said another word, which meant that the subject would never be discussed again but every time he looked at the window space, one couldn’t not think anything else. So, Mr representative still hadn’t turned up thirty minutes after allocated time, and being a stickler for punctuality I decided that enough was enough. Off to the Co-Op for vitals and aged grape juice pressed into a cork topped bottle that would fart like a duchess when popped open were purchased. Upon return from my shopping spree, there at the top of my steps stood Thomas, rather miffed, his chin was pouty and as I approached and kindly chastised him for being late, he got quite cocky in attitude, the red mist descended and I politely informed him that his need to sell the product at this particular moment in time was a greater priority than mine to buy it. I invited him in and to be honest I liked his style, he didn’t push and talked to me like I was a sixty year old who knew exactly what he wanted. Now, here comes the problem, it’s commonplace, it’s implications I detest and that is the word named simply “options”! Far too many of them as a matter of fact, so, I led him slowly through my choiced minefield, which he understood. 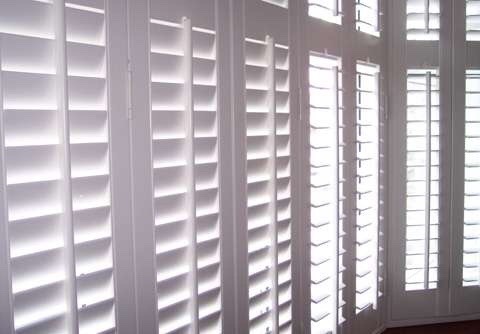 Three windows, one of which pushed his specifications to the max, each of twelve separate shutters and two of four, no add ons, just complete systems, flush and simple. Not in wood, but PVCu construction which would also give great thermal advantages. Eventually we got there in the end. All the time I had a ball park figure in my head for the complete and final installation. He pulled up photographs of my bay window with a machination of end product. I must admit that the actual sample had swung the process, so far thus. Wow! So much for my ball park figure, obviously I’m out of touch with household improvements, but a total of £5800 certainly blew my socks off, which, thankfully included that tax which is valued as extra AND a twenty percent discount as this month did not have an ‘M’ in it. After picking myself up and slowly calming down just like a pinball machine had been played vorciferously, I though this is not affordable as my figure was less than £2K, I proceeded to tell him I couldn’t run to that, he then offered payment plans, which to be fair were fair indeed, but, a one hundred and twenty month payment option was not for me, for fecks sake, I’d be seventy three before I could even look at them without thinking of my dad thinking about the curtains. We agreed that I’d be happy for quote by email and there was no obligation to purchase, he packed his kit up and bade me farewell. Two hours later, still no email with a price quote, so I contacted him, he replied that he was still with a client, and would email as soon as free. One hour later, price quote arrived, eight hundred pounds cheaper …….. Here we go I thought ……. Going to take a while to get him down to my ball park and play game with me, after all, I’ve had these curtains one hundred and twenty months already, a few more won’t hurt. Salesmen huh! ….. “Do I look stupid?